This article previously appeared on the Defense Department website on January 14. 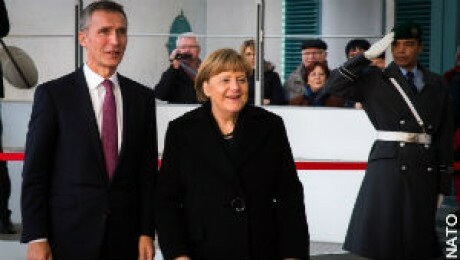 There are many different types of terror and democratic nations must use many defenses against them, NATO Secretary-General Jens Stoltenberg said in Berlin on January 14. NATO is also developing technologies to be able to protect member states against attacks, especially related to explosives. The alliance also works with partner countries “to enable them to be more able to fight terror in their countries and in their regions,” he said. Allied militaries worked closely for more than a decade in Afghanistan, and that is providing a solid basis for cooperation in the fight against terrorists, he said. Russia must respect the core values and the rule-based system that NATO nations have strived to establish in Europe, he said.